Ms. Khatuna Gogaladze, Minister of Environment and Natural Resources Protection of Georgia, in what was perceived as a country taking the lead to value its natural capital, launched the TEEB Scoping Study for Georgia on 1 October 2013. The Study highlighted the country’s substantial dependence on natural capital and ecosystem services. She spoke to UNEP about why Georgia chose to include the value of its natural capital in national economic planning and the next steps. UNEP: What prompted Georgia to engage with TEEB? Minister: Georgia is a rich country with natural resources and biodiversity. Sustainable use of these resources has an ultimate importance for economic development of the country. At the same time, unsustainable use of this capital, or investments aiming at short term revenues, could cause significant loss and irreversible degradation of these natural resources, which in its turn will definitely destroy the principles of sustainable development and prevent economic growth of the country’s long term perspective. Therefore it is crucial for us to value Georgia’s Natural Capital and ensure adequate reflection of this value, whether monetary or non-monetary, in the development strategies of the country, the adequate management of ecosystems and ecosystem services, as well as encourage investments in natural capital. That is why it is so important for Georgia to participate in the international processes of the TEEB Initiative. UNEP: What are Georgia’s biggest natural capital resources, and what challenges do they face? Minister: Georgia belongs to one of 34 globally significant “biodiversity hotspots” identified by Conservation International. So, global importance of the eco-region, the necessity of its conservation is internationally recognized. The richness of our species and landscape diversity is our treasure and pride. Besides that, Georgia is very rich with fresh water resources. There are over 2,600 rivers and up to 260 lakes. We also have numerous ground water sources, including thermal and mineral springs. Over 40% of the territory of the country is covered by forests. But these resources are not limitless and they need to be cared for and preserved for future generations. The main threats to natural capital can be defined as destruction and degradation of habitats caused by infrastructure developments, timber logging, degradation of water systems, pollution, overgrazing, etc. UNEP : How important do you feel it is to start including the value of ecosystems and biodiversity into national economic planning, and why do you feel it matters? Minister: Georgia already has some experience in valuing some of its natural capital, specifically within the protected areas. A number of projects were implemented recently in the country with the support of the World Bank, UNDP/GEF, and WWF, related to assessment and valuation of ecosystem services provided by the selected protected areas. These studies have shown that ecosystem services are indispensable for the economic, social and cultural life of Georgian people, especially for poor groups. Sectors, such as agriculture, hydropower, tourism, forestry, drinking and irrigation water supply, and mineral and bottled water industries, benefit a lot from ecosystem services. However, most of these services are considered free of charge and, therefore, they are not seen, or are undervalued in decision-making. Improving of this process requires, among other things, valuation of these ecosystem services and incorporation of non-market values of ecosystems in development policies and resource management decisions. This is why we attach high importance to theTEEB process and valuation of ecosystem services and biodiversity in Georgia. UNEP: How crucial do you feel it is for other countries to follow Georgia’s example in this regard? Minister : It is in the interest of both developed and developing countries to start incorporating natural capital into their national development policies and national accounts to make enlightened policy decisions. Therefore, we think that Georgia can be an example for other countries to be engaged in the TEEB process. UNEP: What did you take from the TEEB scoping study? Minister: The scoping study identified five core sectors of Georgian economy applicable for the TEEB Initiative; these are Energy, Tourism, Agriculture, Mining, and Forestry. The study highlighted the substantial dependence of these driving forces of Georgian economy on natural capital and the services it provides. Thus the study was an important step forward in valuing natural capital but needs to be followed by a full TEEB National Study in order to ensure sustainability of the country’s commitment towards demonstration of strong relationship between economy and environment, and the integration of value of natural capital into national policies. Herewith I would like to use the opportunity and extend our appreciation to Mr. Pavan Sukhdev and UNEP, for theirvaluable support, enabling us to participate in the TEEB initiative and conduct the scoping study. UNEP: What time frame is Georgia looking at for implementing the results of the full study into national planning? Minister: It is difficult to define time-frame for implementing the results of the full study into the national planning, since the full study itself has yet to be initiated. 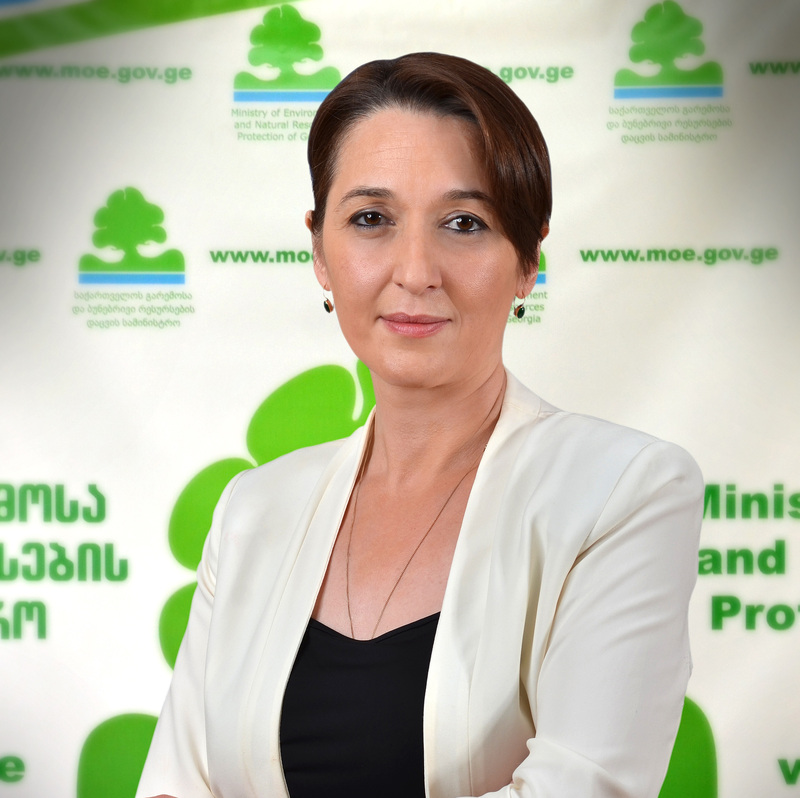 However the results of the TEEB scoping study have already been incorporated in the newly elaborated National Biodiversity Strategy and Action Plan of Georgia for 2014-2020, which will be submitted to the Government of Georgia for approval. UNEP: Do you foresee developing another indicator that is more comprehensive than GDP, for example an Inclusive Wealth Index? Minister: We realize that established and widely used economic development indicators such as GDP do not fully account for all aspects of countries’ developments, including the use of natural capital. It only measures gross output and provides no indication of whether income and growth are sustainable. The true value of natural capital and the important economic contributions of ecosystems are not fully captured by GDP indicators, as ecosystem services are predominantly public goods with no markets and no prices. So, their loss is often undetected by our current economic indicators and incentive systems. Continued unsustainable use of natural resources gives the impression of an increase of a country’s GDP, while in reality it is becoming poorer. Therefore, we believe that developing alternative indicators which would better reflect what happens with countries’ natural wealth along with economic growth, is absolutely crucial. By including the value of the environment into wealth estimates and macroeconomic indicators, such as GDP, governments can ensure that their development strategies deliver sustainable and inclusive growth. UNEP: What positive economic impacts do you expect to gain from valuing natural capital, and how quickly do you expect these benefits to kick in? Minister: We expect that involvement in the TEEB process would help us to assess and integrate the value of our natural capital in development planning and decision making. In other words it will help us to develop policies and make decisions that are oriented towards sustainable development. At the same time we expect that such decisions would reduce losses and bring economic benefits in the medium and longer term.